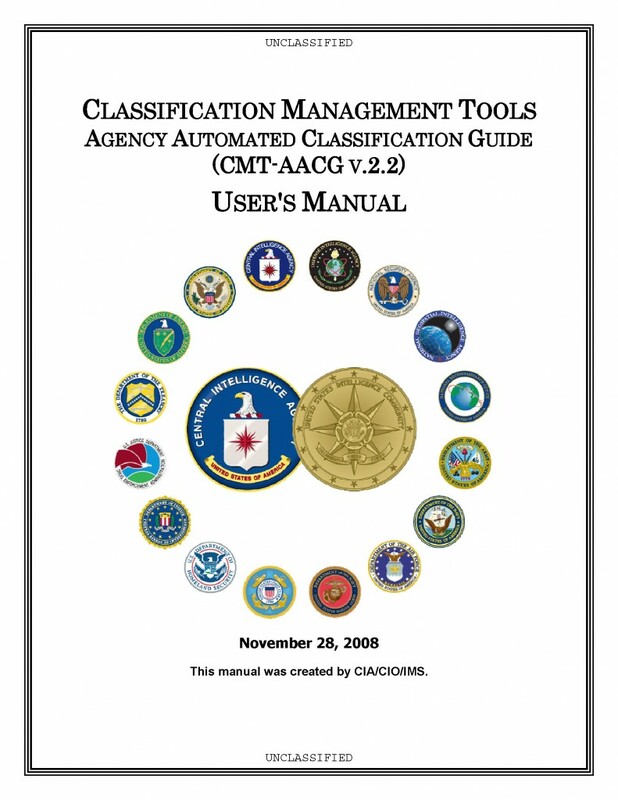 The following manual and quick reference guides are for the Classification Management Tools Agency Automated Classification Guide, an “automated tool that allows the user to apply correctly formatted classification markings to electronic documents.” A February 2014 FOIA request by MuckRock’s co-founder Michael Morisy for both the manual and the quick reference guides resulted in a letter stating that the manual was not due for another “declassification review” until September 2015. 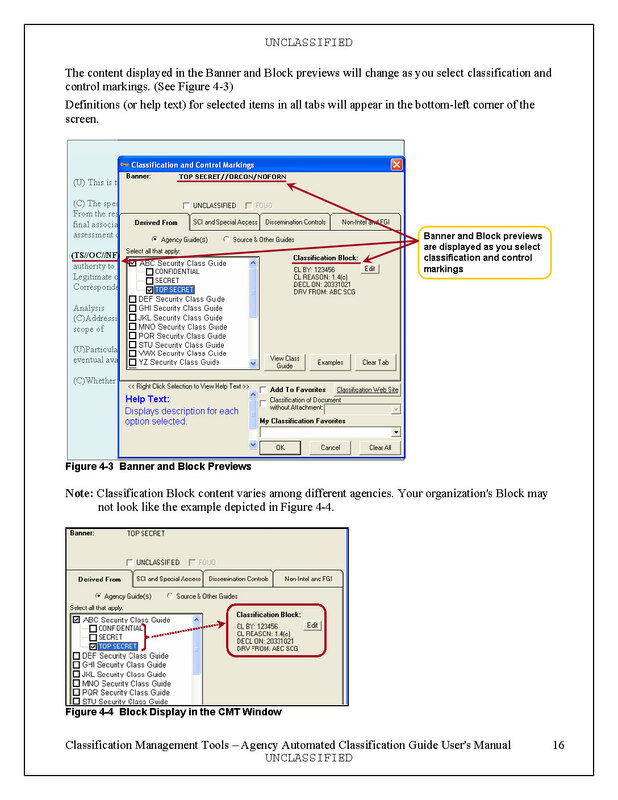 It is unclear if the version of the manual provided below is the same version referred to in the response. 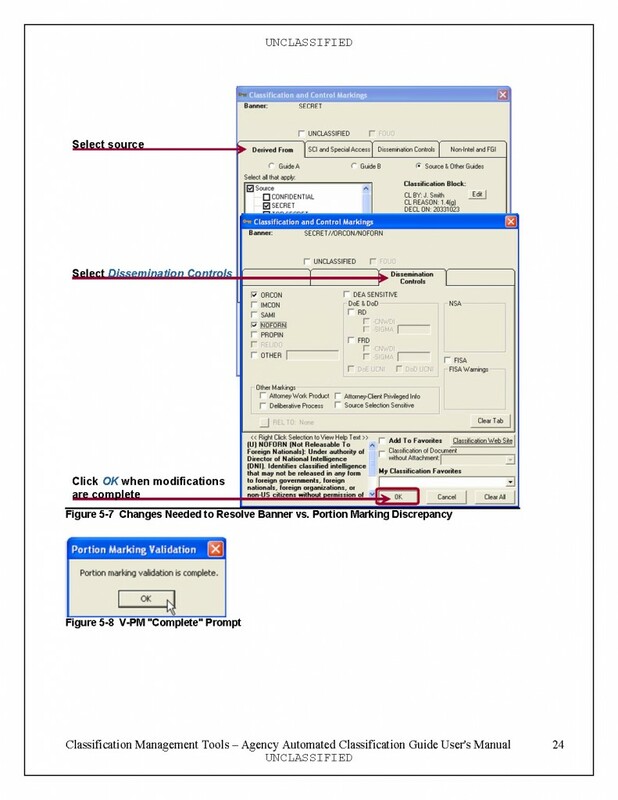 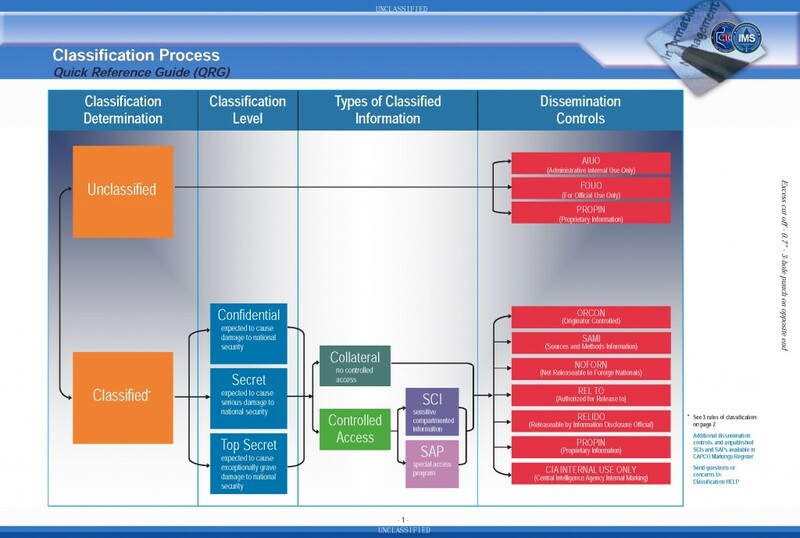 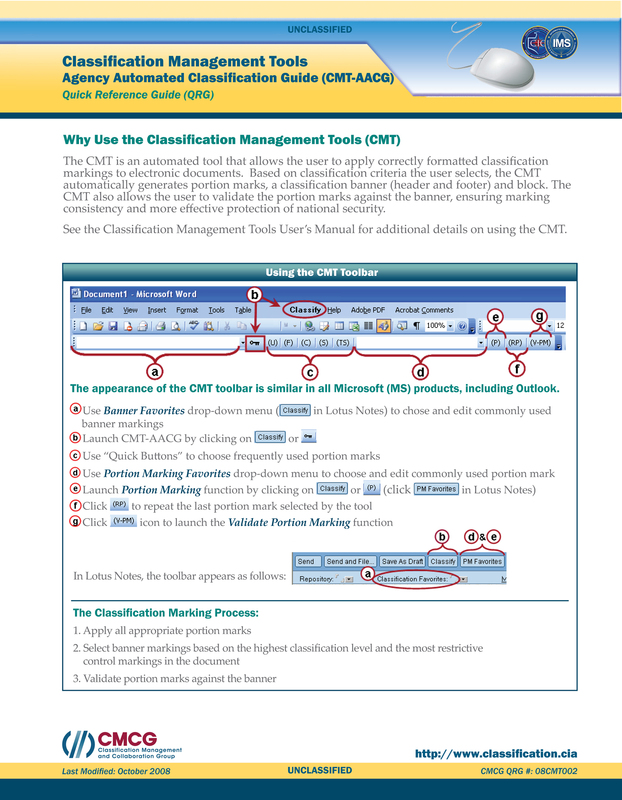 A version of the Classification Process Quick Reference Guide was already published by this site in November 2011 but has been included here for completeness.